As part of my judging for this year’s Entrepreneurs’ Organization’s (EO) Global Student Entrepreneur Awards (GSEA) US Finals, I met contestant Josh Doering, Cofounder as well as Marketing and Director of SeedSlide. As with my interviews with other GSEA competitors, I wanted to learn about his motivations, the networks he developed, and how he and his partner overcame obstacles that are part of any entrepreneurial endeavor. As we recommend in our books, creating a network of people you can trust is crucial to succeeding as a leader or entrepreneur. Josh’s father was the initial inspiration for his entrepreneurial ambitions. His father modeled how working hard and determinedly pursuing one’s own ambitions instead of merely working on someone else’s dreams leads to greater freedom and satisfaction. 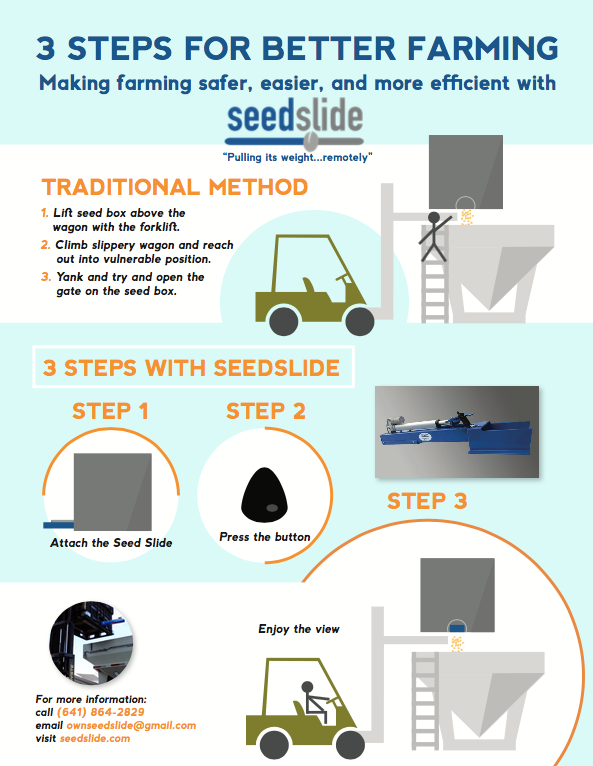 His co-founder, John Platte, has been vital as the engineer of the Seed Slide. He is a “down-the road” neighbor of Josh and his family and attends their same church. Two of Josh’s close mentors, Ryan Martinez and Pam Mickelson, advisors to Morningside College’s student Entrepreneurship Group, “really helped to get their brand up and running.” Lastly, a Future Founders fellowship, involving a year-long cohort of students with whom to interact, provided countless support throughout last year. EO also connected Josh to other entrepreneurs who could share their experiences, and who inspired him to keep striving for more. Since participating in the GSEA competition, he has worked hard to stay in touch with the connections he made from the event. Trust depends on demonstrating reliability, openness/honest, competence, and compassion. As Josh told me, building trust with the end-user is crucial. As he said, “trust is earned through a constant dedication to doing what is right for our customers.” By prioritizing the happiness of the end user, we are able to build a reputation that the values important for life on the farm are the same that we run our business by and establish a rapport with farmers.” Josh also said to regularly ask for advice. “Building a business is no small feat. He stated that finding someone who has been there and done that and listen to how you can learn from their experiences can help shorten the path to success. He noted that without a support system in place the entrepreneurial road can often be a lonely one. Chances are high that there is someone going through your same struggles and being able to rely on them will help to keep you going when the going gets tough. Josh believes that the community for entrepreneurs is thriving right now, and that it is well worth jumping into regardless of one’s ideas, experiences, or background. He closed by recommending that an easy way to get started is with a “startup weekend,” which is how his own fire for entrepreneurship became lit.